Hello Beauties! As always, the start of a new month marks the start of a very busy week for my postman. I receive about three beauty subscription boxes each month, and always, Love Me Beauty is one of my favourites...of course, this month was no different. 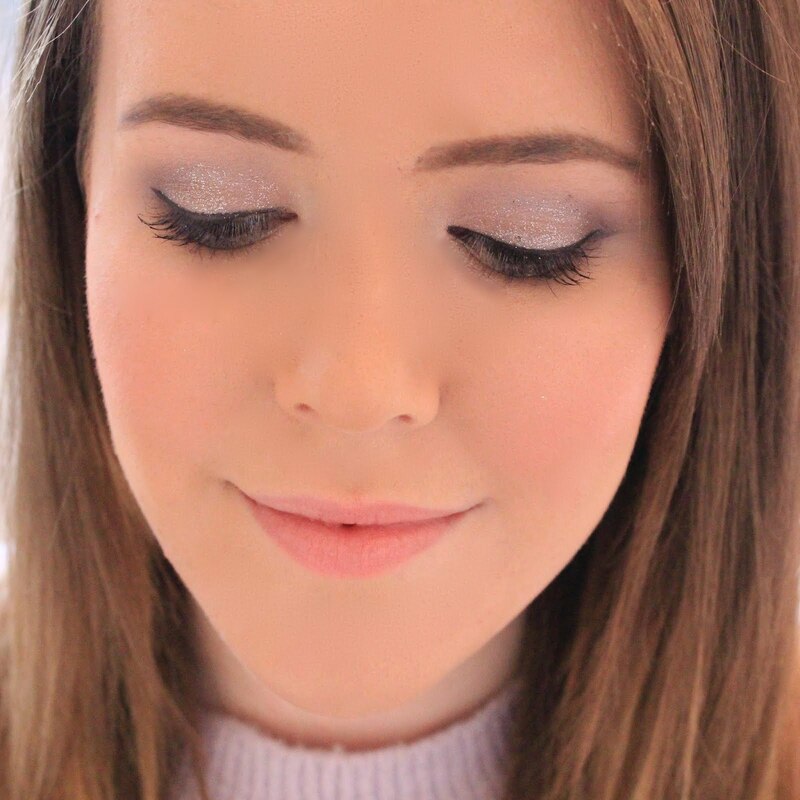 This April, Love Me Beauty have launched Makeup Forever as one of their brands and I couldn't be happier. I'm a big lover of Makeup Forever, but despite it being available (at quite a hefty price) at Debenhams, it's not so easy to get hold of in the UK for a reasonable price. I was thrilled when I opened this month's beauty bag and saw this little Makeup Forever HD Powder. This is one of my all time favourite powders for when I need my makeup to look completely flawless and I'd just ran out of my full size from the US. Whilst this is a deluxe sample, you still get quite a bit of product, and the dinky packaging makes this perfect for travel...which I'm hoping to be doing a lot of this year. I've only ever tried one mascara from Makeup Forever, the smokey mascara which I received as a birthday gift from Sephora, and I adored it...so I'm so happy to have another one of their mascaras to test out. I'm looking to pick up a new mascara whilst I'm in the US next week, so if it's great that I'll have time to test this one out before potentially picking up the full size, and again, this will be perfect for taking away with me. 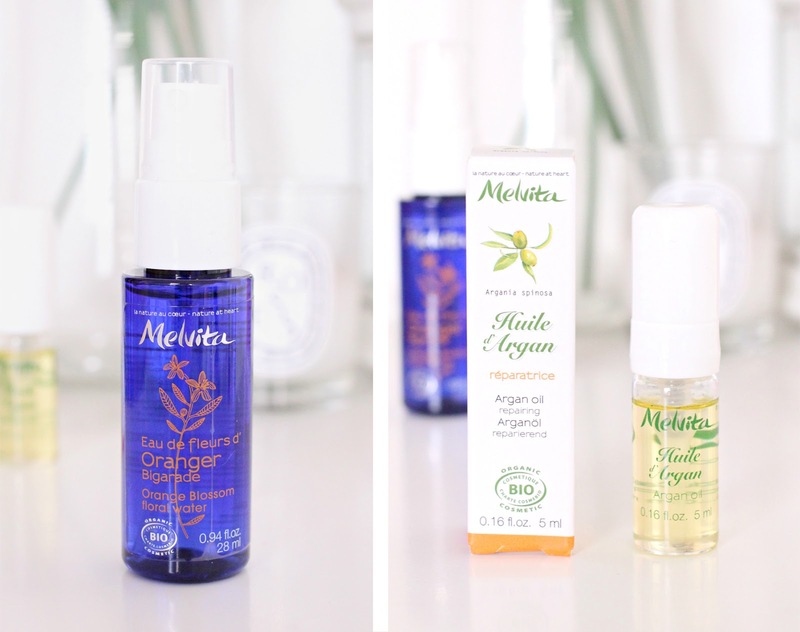 Melvita isn't a brand I've tried before, so I'm happy that this month's Love Me Beauty has given me the chance to try out a new brand. The Melvita Orange Blossom Floral Water is a 'pre-moisturiser' or toner water combines orange blossom water with a first-pressed organic orange water to soften and soothe the skin. The water is enriched with naturally derived hyaluronic acid, to prepare the skin for the application of other skincare products or makeup, while leading the skin smoother and delicately scented. Admittedly, toner is a part of my skincare which I often skip, so I'm happy that I'll get a chance to test this one out over the next month. I'm a huge fan of using argan oil on the ends of my hair to keep it looking healthy and strengthen it, as I definitely over-abuse my hair with the straighteners, so I was happy to see this little bottle of argan oil sitting in my April beauty bag. Again, this will be perfect for taking away with me next week. One of my favourite beauty tools has to be the original beauty blender, so I was happy to see the Love Me Beauty version of the famous blending sponge in this months subscription. I'm really interested to see how this compares to the original and will definitely be posting a comparison if the results are worthy! This month I also received the full size hairbrush from tangle teezer, as in the ones which don't fit into the palm of your hand. I much prefer this to the original tangle teezer, but I still find the bristles to be a little hard (a problem I've always had with the tangle teezer brand). However, I know tangle teezer is a really popular brand, so I expect a lot of you would be excited to receive this. Since receiving some Percy and Reed products from Love Me Beauty a little while ago, I've been in love with the brand. I rely on dry shampoo every week (honestly, anything to not wash my hair every day) but I've never thought about trying dry conditioner. I think this will be perfect for those days when my hair is feeling a little dry, so I can't wait to give it a proper go! Overall, I'm thrilled with all of the products I received in this month's package and I think that this month the subscription was definitely worth the £10 (plus P&P) - for the makeup forever products alone! What do you think? This looks like a really good subscription service!! I haven't heard of any of these brands besides MUFE and Tangle Teezer. They all sound amazing though! whoa, such a good range of goodies for so little! Lovely post! The beauty blender dupe looks amazing!